The Tyger Waterfront (across the road from Tyger Valley Centre in Bellville) doesn't have the vibe of the V&A Waterfront in the city - partly, I suppose, because of the fact that it's situated on a man-made lake rather than a working harbour, and partly because the night-life in the northern suburbs is not as bustling and concentrated as the night-life in the city centre and southern suburbs. 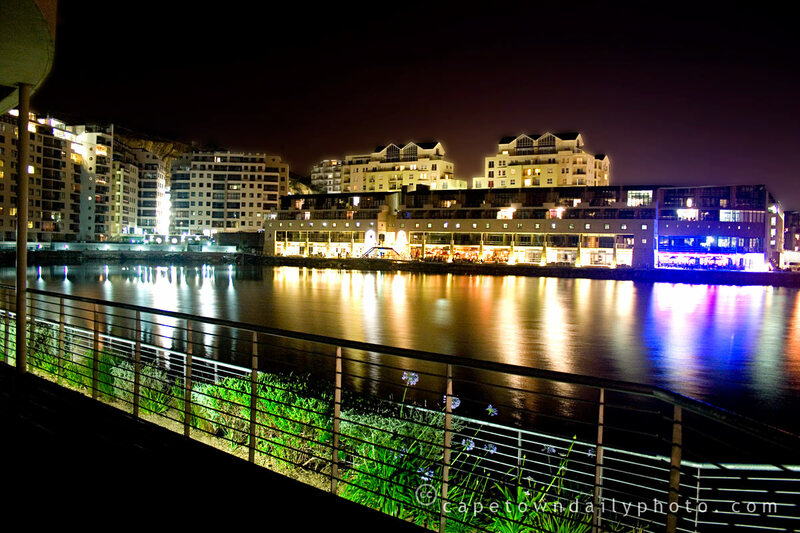 But what the Tyger Waterfront does have is a sense of quietness and tranquility - which we sorely needed after the rush of the festive season. We ate our dinner at the Cattle Baron Grill House, looking out across the perfectly still lake and watching the lights play gently on the water. Posted in General on Monday, 29 December, 2008 by Kerry-Anne.